One more connected TV platform down, but more to go for HBO’s standalone streaming video service. 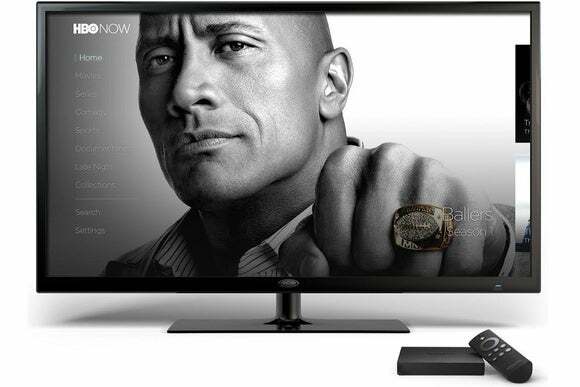 HBO Now is ticking a couple more media streamers off its “coming soon” list, with the arrival of Amazon Fire TV and Fire TV Stick support. HBO announced last month that it was bringing its standalone streaming video service to Amazon’s TV devices, but at the time only said that they would arrive “soon.” The app is available now, and it supports Amazon’s Fire tablets as well. The service costs $15 per month, and doesn’t require a cable- or satellite-TV package. Subscribers get access to HBO’s original series, movies, documentaries, and comedy specials on demand. And while there’s no live stream of HBO’s regular channel, many shows appear on HBO Now at the same time as they air on TV. The sign-up process is a bit confusing, as you can’t just subscribe through HBO’s website. Instead, you must use one of the devices that HBO Now supports—including iOS devices, Apple TV, Fire TV, and Android devices—or sign up through either Optimum or Verizon FiOS (if they’re providing your Internet service). Once you subscribe, however, you’ll have access on all platforms, along with HBO Now’s desktop website. In July, HBO said its app was also coming soon to Chromecast and Android TV devices, and support for the former arrived earlier this month. HBO still isn’t talking about when it’ll offer HBO Now to Roku media streamers. Why this matters: For now, Android TV remains the only platform that HBO has promised to support, but hasn’t yet. Still, HBO recently told TechCrunch that its ultimate goal is parity with HBO Go, a separate service that’s free for people who get HBO through a traditional pay-TV provider. Hopefully, that means Roku and game console users won’t have to wait too long before they can get HBO without a big cable bundle.